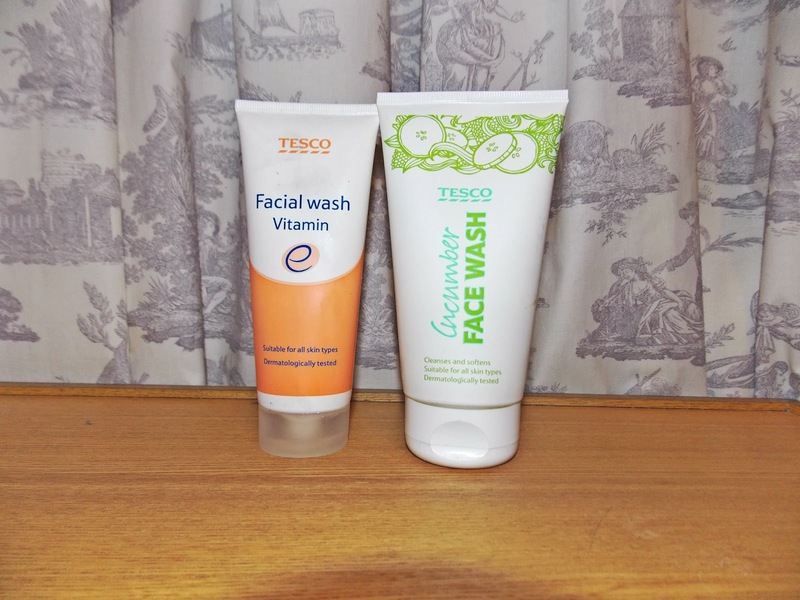 Tesco's have a few own brands for skin care and I have a few of them. I have these cheap ones because they actually do work well on my sensitive skin and they are a good price. I have two different face washes and two different cleansers. Each have their own pros and cons and I like to switch using them now and then as my skin decides if I use a certain product on my skin it won't work for it any more. 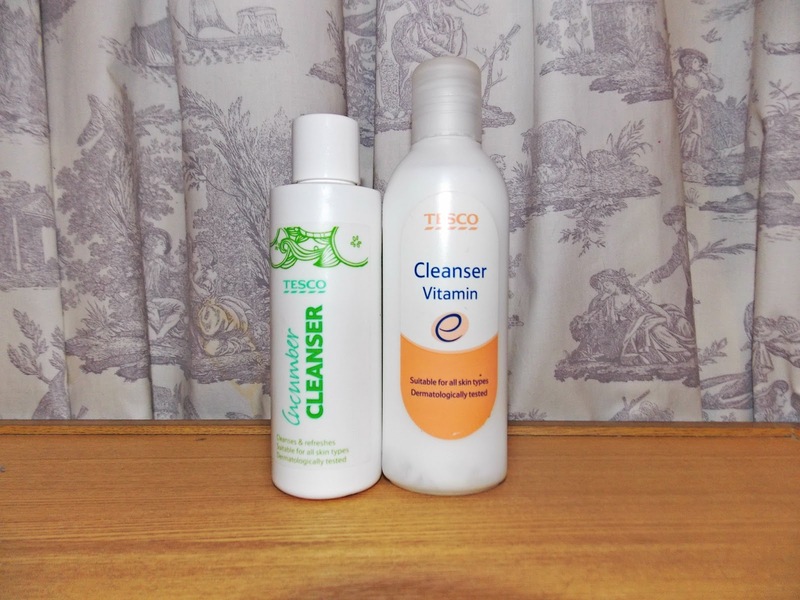 I think both face wash and cleansers are under a £1 each, so they are meant to be good value for money. I like the squeezy bottles that they use for the face washes, they both come out easily and both have a fair amount in each bottle, the design on the bottles are simple and say exactly what they are. The cucumber face wash smells better than the Vitamin E face wash but i think that's because it has Cucumbers in and i like the small of them. 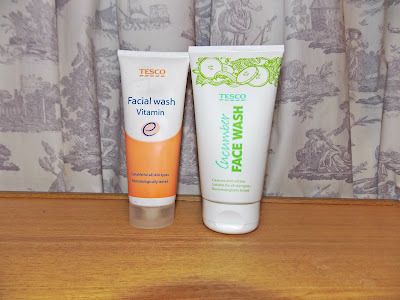 Both face washes look exactly the same, the both have are a clear gel but i found that the Cucumber face wash has more of a lather than the vitamin E one, and it got rid of more make up/dirt on my face. But the vitamin E one left my skin feeling lovely and soft where as the Cucumber face wash left it feeling more like there was product left on my face, even though i had washed it completely off. I would say over all i like the cucumber face wash most, but i prefer the softness that the vitamin E one leaves on my skin. Both of these face washes tend to make me break out every now and then. 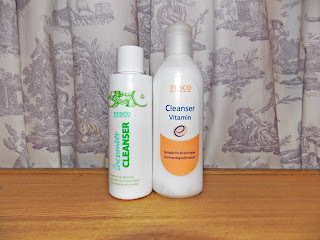 The cleansers have the exact same packaging as the face washes but the only different is the bottle, they bottle they use for the cleansers you have to pour the product out instead of squirting it out, which i hate because too much comes out when i pour it! As always i like the smell of the cucumber cleanser best, it comes out much thicker than the Vitamin E one and takes more dirt off of my face. No matter how much i shake the vitamin E cleanser it always comes out watery which is horrid on my skin and just feels yucky. Surprisingly the cleanser leaves my face softer than the vitamin E cleanser unlike the face washes. I don't get any breakouts when i use either of these cleansers unlike the face washes. So after testing both the vitamins E face wash and cleanser and the Cucumber face wash and cleanser the overall winner is the Cucumber, not only do i like the packaging the most the smell and cleanser make it the winner! 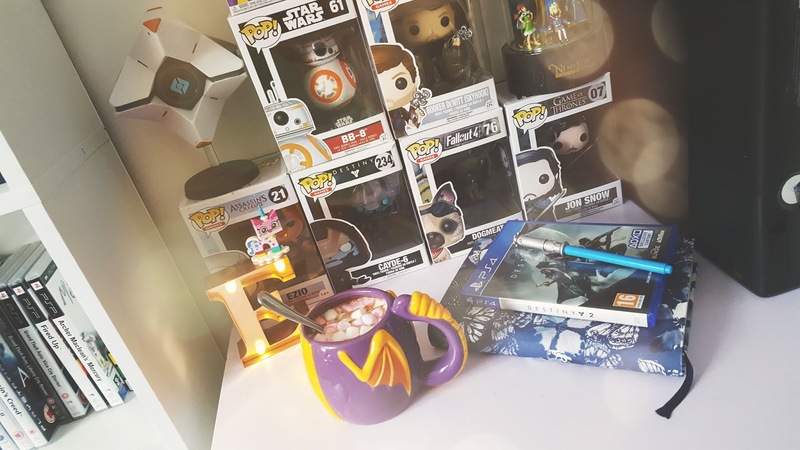 My week in pictures #2 instagram. Nice day out in Padstow. Directions, Stargazers or Crazy colour.